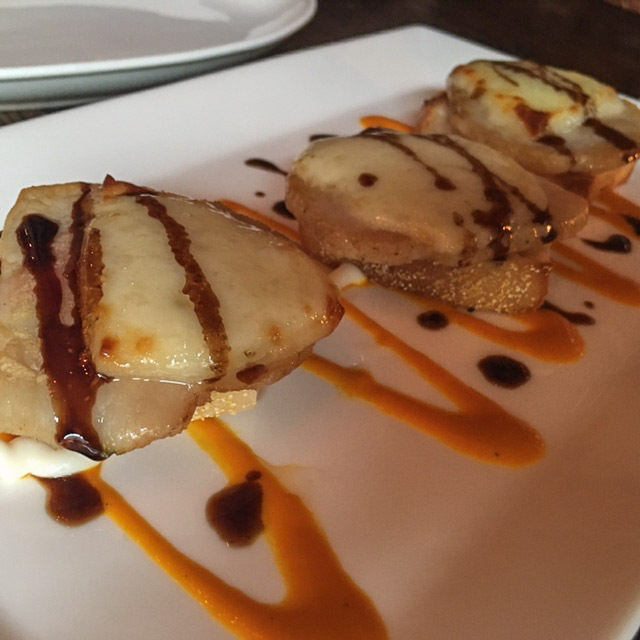 A Taste of Tapas at Tablao – Reviews + grub knowledge from CT, NY, and beyond. Tablao Wine Bar & Restaurant is brand spankin’ new in SoNo and located in a space where many before it have fallen flat. Hopefully something can finally stick in that spot and I have high hopes for this newcomer. 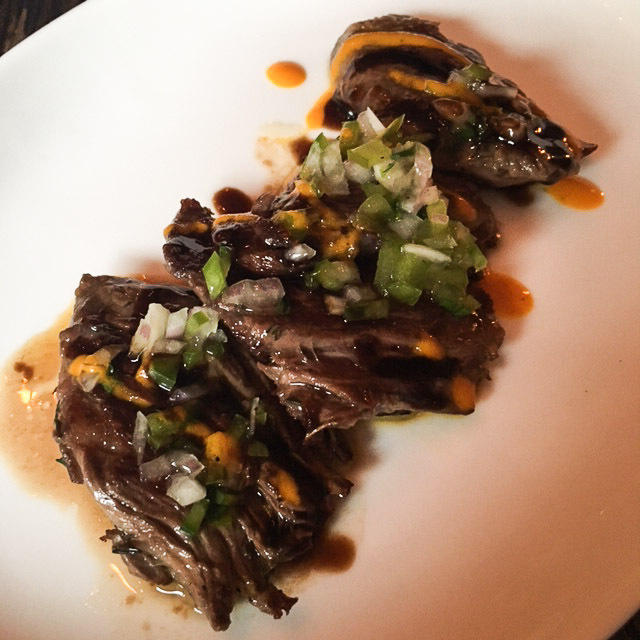 I recently went to check it out with my blogging buddy that you may know as the Fairfield County Foodie. We ordered one drink each, a foursome of small plates, and one dessert on a quiet, but steamy Monday night. It’s a cozy setup, nothing too fancy, but nothing too casual either, it’s kind of in-between and not at all stuffy. I’m digging the summer vibes of them having the windows open with the A/C blasting inside. I could totally see coming here when I don’t want to be bothered with my usual South Norwalk haunts or for a quieter night out. They serve a good size late night menu from 10 p.m. until 12:30 a.m. and on Fridays and Saturdays it runs from 10 p.m. until 1:30 a.m. Don’t even try to act like you don’t look for some late night grub! 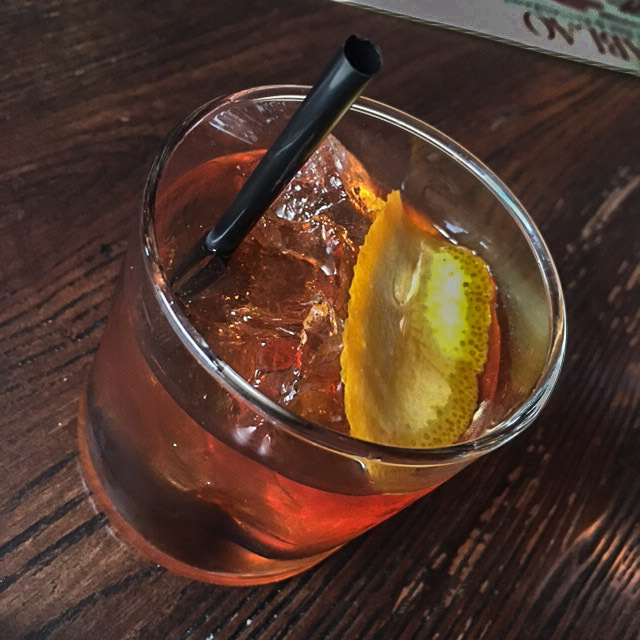 FC Foodie and I both opted for a classic Old Fashioned. Tablao’s version was smooth and strong, just like I like ‘em! 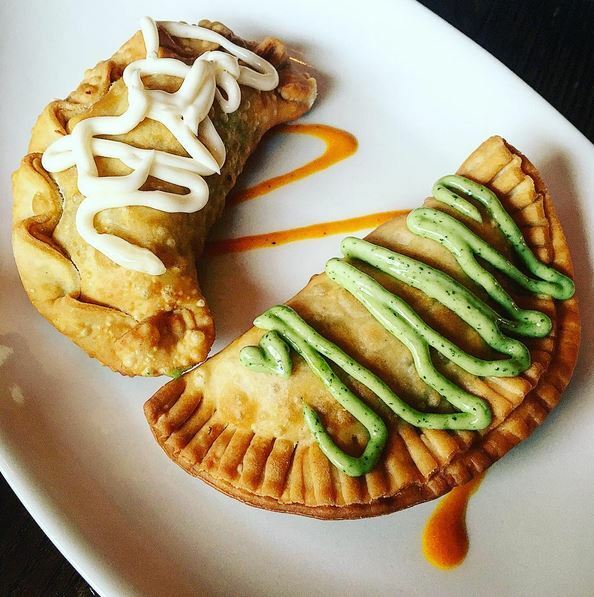 Two of the small plates were a big hit, especially the empanadas. They come in twos so we opted to get one chicken, one beef. The dough was fried to perfection, cooked through, but not overdone. The fillings in both had a pop of Spanish spices and there was plenty of meat too. Props for making a chicken empanada taste so damn good where many places fail to make that happen. 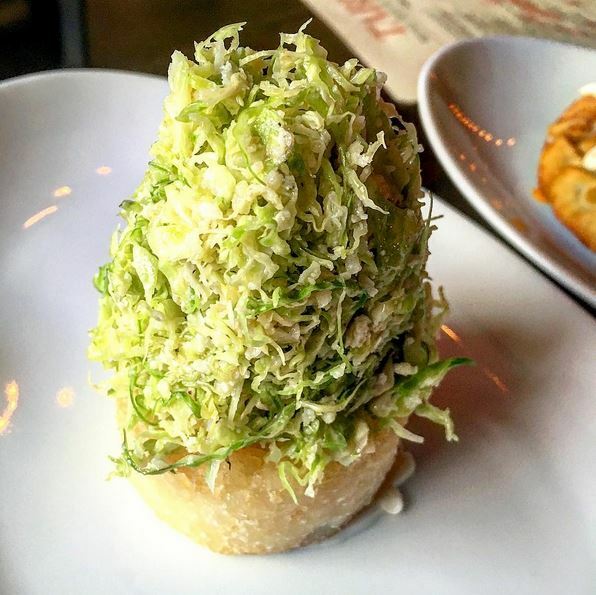 The shaved Brussels sprouts salad (white truffle vinaigrette, black truffle shavings) on top of a fried risotto cake was on point too, and I was nervous with all the truffle, but in fact, it wasn’t overkill. The end result is a fragrant, earthy dish, with some crispy creaminess from the risotto cake. 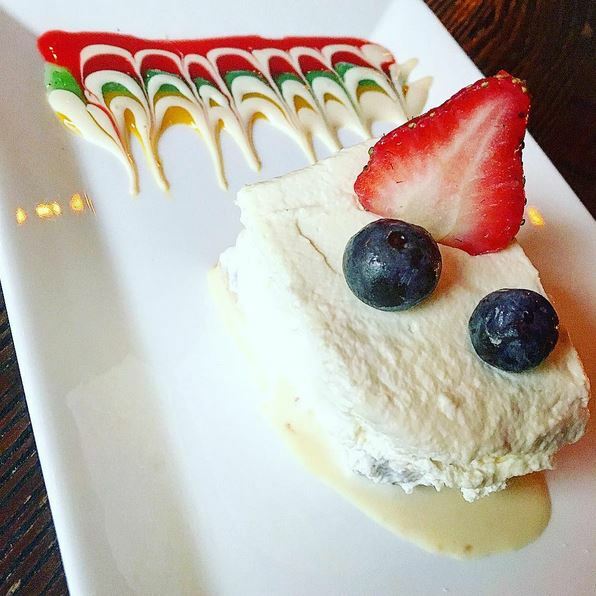 The tres leches cake that we split for dessert was a good execution if you’re looking for a dessert that won’t put you into a sugar induced coma after the crash. The whipped cream frosting was light, and the milk-soaked cake really earned high marks from both of us. And yes, the price was great too. $35+ each for what we ordered wasn’t half bad. The hangar steak was one I REALLY wanted to like but I would’ve liked more garlicky punch from the fresh chimichurri and a little less doneness than medium. Medium rare to rare on a hangar would be ideal. The only thing we didn’t enjoy were the pork medallions (toasted bread, tetilla cheese, piquillo peppers). The pork wasn’t super flavorful, and the bread could have been slightly crunchier, the cheese, however packed a slightly pungent punch. The potential is there. The price was awesome. And I had enough good stuff to want to return for a full meal. That paella is calling my name!